The Stelvio National Park, situated on the borders of the Italian regions of Trentino-Alto Adige, Lombardy, and Switzerland, is the 4th largest national park, by area, in Italy. It was established in 1935 and covers an area of just over 1,300 square kilometres, mostly between 2,000 and 3,000 metres above sea level. 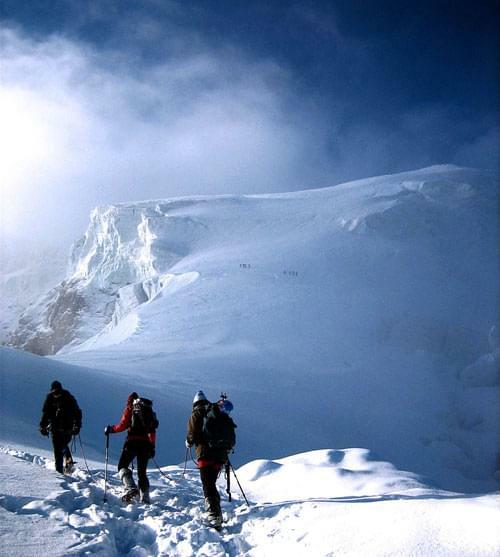 The highest peak is the Ortler at 3,905 metres. The park borders two other national parks: the Swiss National Park to the north and the Adamello National Park to the south. In addition to its spectacular mountain scenery of glaciers, waterfalls, glacial lakes and towering mountain peaks, the national park also offers beautiful valleys, huge forests and many pretty alpine villages and farms. 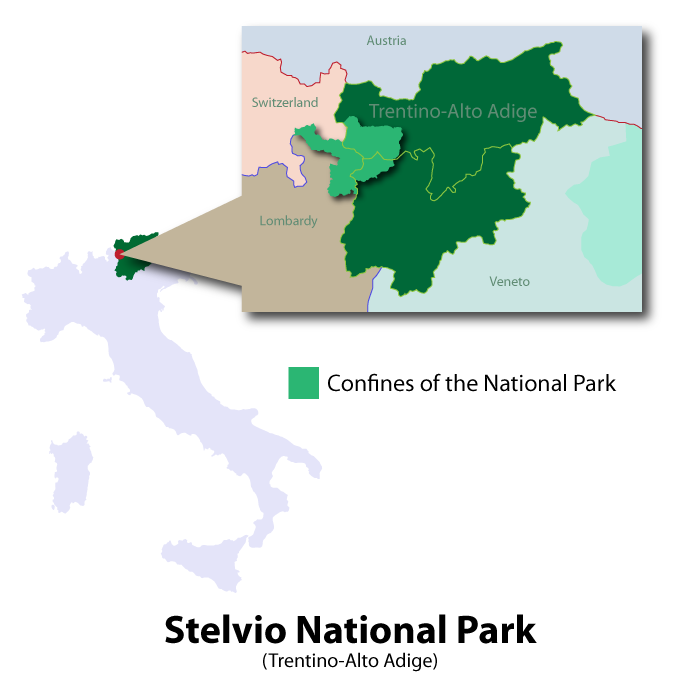 The principal valleys in the Stelvio National Park are: Venosta, Martello, Trafoi, Rabbi, Peio and Valtellina. The 'Stelvio Pass' has the reputation of being one of the highest and most spectacular of the Alpine passes to drive down. 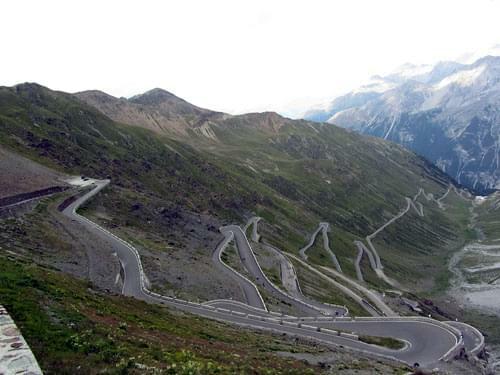 The Stelvio National Park is dominated by the 'Ortler Alps' mountain range, known as 'Ortles-Cevedale' in Italian and 'Ortler-Alpen' in German. Like all national parks, the area is a haven for all kinds of nature and wildlife. 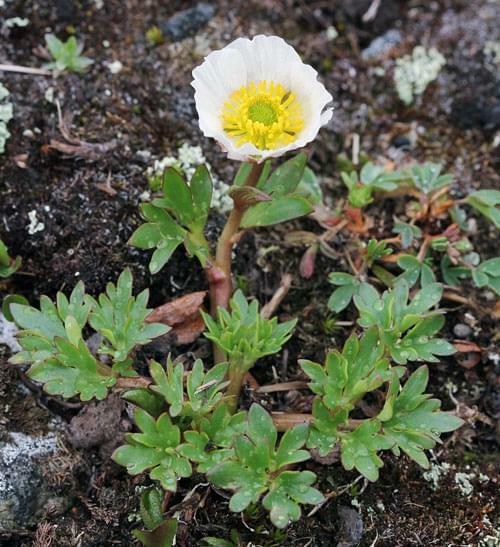 The 'Glacier Buttercup' can be found here. It has the record as being the highest blossoming plant, having been found at 4,275 metres. The area is also home to the Marmot, the Alpine Ibex and the Chamois as well as many species of birds, such as woodpeckers, owls and golden eagles.